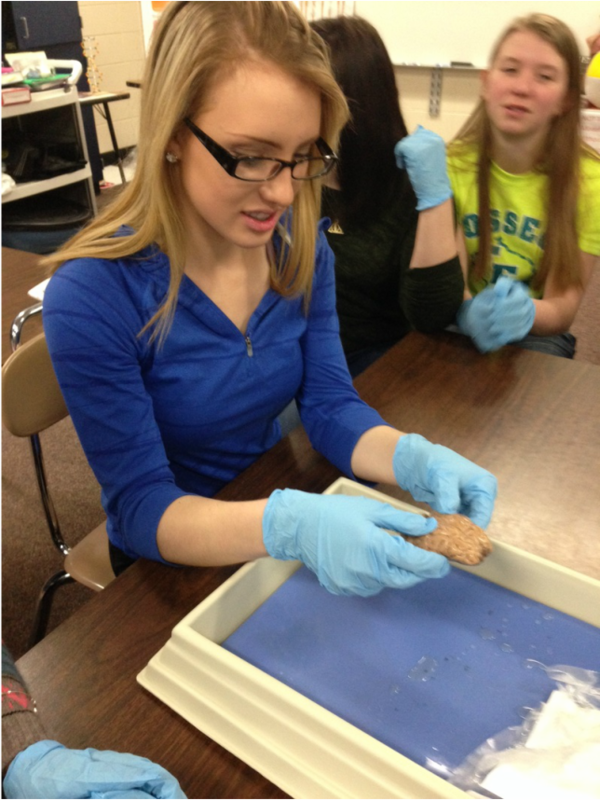 Class Summary - Today students dissected sheep brains. Students were to locate the arachnoid mater (there was no dura mater in these specimen), optic chiasma, pituitary gland, cerebellum, cerebrum and the cerebral lobes. Then students made longitudinal cuts following the longitudinal fissure. This separated the two cerebral hemispheres and the diencephalon and brain stem. 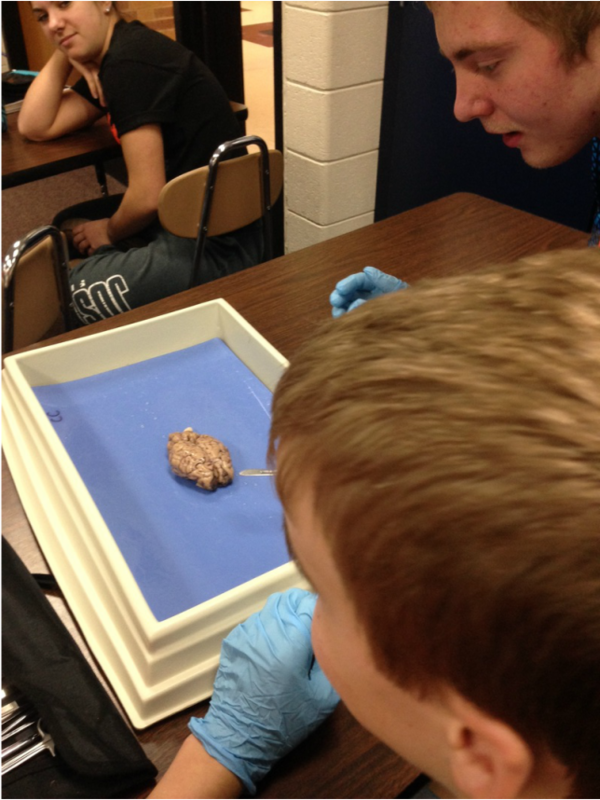 Students were to locate the third ventricle, corpus callosum, pineal gland, thalamus, hypothalamus, pons, medulla oblongata, spinal cord, gyri of cerebellum, sulci, and arbor vitae. 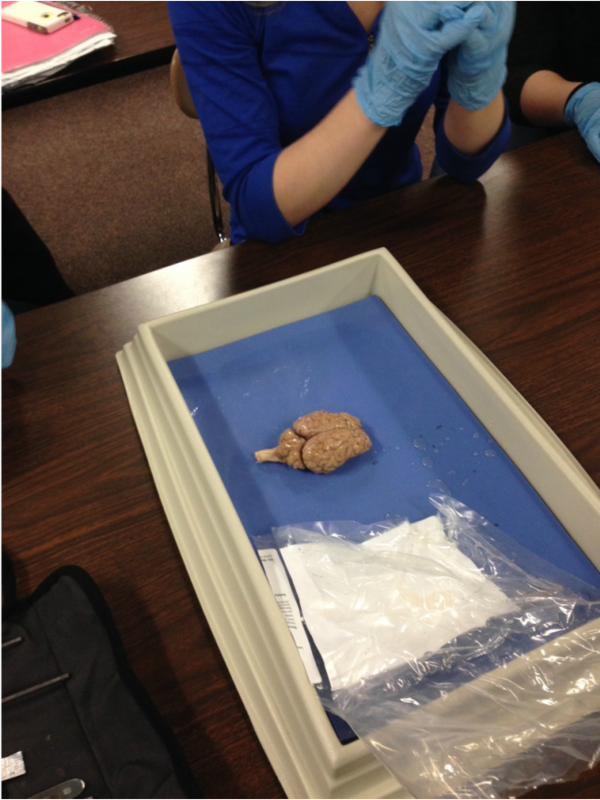 Objectives - Students will describe the major parts of the brain and the lobes of the cerebral cortex.